On January 27th, the largest annual migration in the world will take place as millions of people leave their area of work to return home for Chinese New Year, also called the Spring Festival (春节 Chūnjié). Starting the eve before the first day of the lunar calendar Year of the Rooster, fireworks will be set off, baijiu (白酒 báijiǔ) will be poured, and feasts will be held. 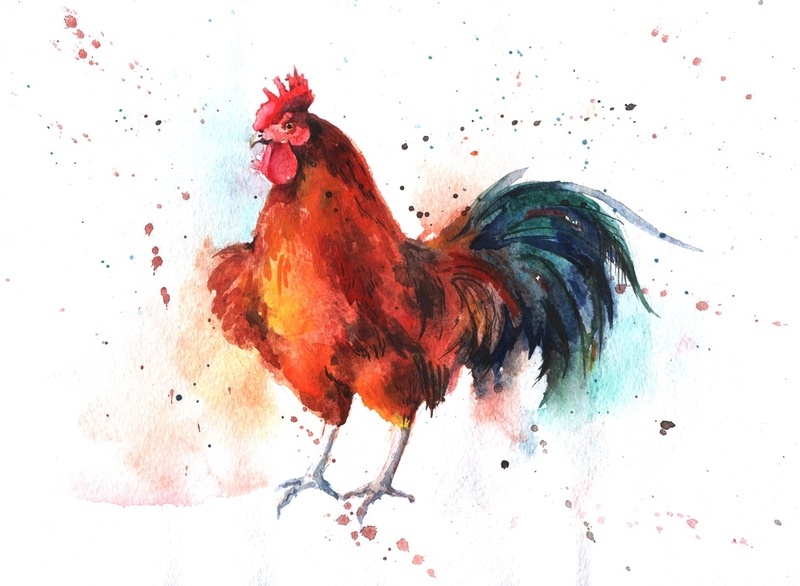 The rooster, the tenth animal of the tenth animal of the Chinese zodiac, is said to be trustworthy, responsible, have a strong sense of time, motivated, and career-driven, making 2017 likely a fairly good one for the economy, according to feng shui masters. Counterintuitively, however, 2017 is not supposed to be a good one for roosters (anyone born in 1945, 1957, 1969, 1981, 1993, 2005, etc. ), as those in their zodiac birth year (本命年 běnmìngnián) are said to offend Tai Sui, the God of Age. Roosters can still avoid bad luck by wearing red clothing, jade jewelry, and by other measures. Related: Why Chinese New Year Is The Best Holiday Ever. The Spring Festival is traditionally a time to remember heavenly deities and ancestors, but in present-day China, it most important as a time for the family to gather at a home or venue near to that of the most senior member of the family. Chinese New Year can be thought of as similar to the way Christmas and Thanksgiving are celebrated in the US (although Thanksgiving is probably closer to the Mid-Autumn festival). Dinner on Chinese New Year is plentiful, usually featuring wax-cured meats such as duck and Chinese sausage, and seafood like lobsters and abalone. However, the most popular dishes for the occasion are by far hot pot, because the communal nature of eating signifies the family's coming together, and fish, which symbolizes good luck. A popular Chinese idiom for New Year, 年年有余 (nián nián yǒuyú), roughly translated as "may there be surplusses every year," sounds also like "may there be fish every year" because the character for surplus (余 yú) and the character for fish (鱼 yú) share the same pronunciation. Eight dishes are severed in total in observation with the good luck associated with the number. However, if someone in the family passed away in the past year, seven dishes are served. Specific foods are chosen based on their names' likeness to words that symbolize good luck, such as wealth (福 fú), happiness (囍 xǐ), and fortune (财cái). Even certain ingredients of Chinese New Year dishes may be emphasized over others due to their likeness to these terms. Red packets (红包 hóngbāo) are also an important part of the reunion dinner, although they are not meant to be opened until several days later. On the eve of Chinese New Year, it is customary to stay up to midnight watching the CCTV Chinese New Year’s Gala, or 春晚 (Chūnwǎn). This TV show is the equivalent of what the Superbowl is for Americans, and the vast majority of people watch it. Meanwhile, a thorough cleaning of the house symbolically sweeps away the misfortune, and welcomes in the good luck brought by the new year. In Northern China, it is common to eat dumplings (饺子jiǎozi) at midnight, as the shape of dumplings resemble an ancient form of currency, and symbolize good fortune. However, in the South, it is more customary to make a glutinous rice New Year cake called 年糕 (niángāo). The traditional Chinese New Year period last for 15 days, all the way up to the Lantern Festival (元宵节Yuánxiāo jié), when it is customary to eat 汤圆 (tāngyuán), fermented glutinous rice balls brewed in soup. According to the two-thousand-year-old custom, people walk the streets carrying lanterns, which symbolize people letting go of their former selves, and spiritual rebirth. In present-day China, the Spring Festival usually lasts a week, and people normally return to work by the 8th day. Last year, Credit Lyonnaisse Securities Asia's (CLSA) feng shui master accurately predicted "monkey mischief" for Hong Kong's Hang Seng index, and even foretold the nosedive in stocks that happened on June 24th, the day after the Brexit vote. 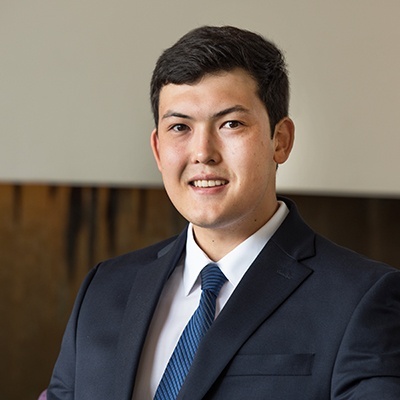 This year, CLSA's feng shui master is predicting the year of the fire rooster will see gaming, transport, and renewable energy industries prosper in 2017, with gas, tech and telecommunications also performing well for a couple quarters. These more successful industries are associated with the water and earth elements, counterintuitively the dominant elements in the Year of the Fire Rooster as they balance out the opposing element of fire in Yin-yang cosmology. Elsewhere, in Kuala Lumpur, a prominent feng shui master has labeled 2017 "the year of new opportunities," in which businesses should "plan ahead with innovation and creativity for their greater advancement." Tech companies seem to have already started following this advice, as Alibaba's app Alipay and Tencent's instant messaging service QQ are offering users a Pokemon Go-style game in which hongbao can be collected by walking around an augmented reality (AR) environment. Related: What is Feng Shui And How Does It Work? Every Chinese New Year, feng shui experts give advice on how best to take advantage of the good luck brought in by the new year. This year of the fire rooster, it is advised to use a lot of blue in your household decoration to offset the fire element brought by the rooster, while red furniture should be avoided. According to feng shui experts, if you are doing any renovations or digging around your house, you should avoid doing it in the west side of your property, as the rooster's position is the west, and doing so would dispel the good luck it brings. Lastly, if you are going about accomplishing your New Year's resolutions, you should start by facing south, as south is the lucky direction this year, while east is considered unlucky. Chinese New Year is not only the most important cultural holiday, it is also the most important commercial holiday, representing an important time for many international brands to localize. Perhaps picking up on CLSA's tip that the gaming industry will excel this year, US-based Blizzard Entertainment has introduced Chinese New Year themes in an effort to increase the appeal of popular online first-person shooter Overwatch to Chinese gamers. The tradition of gift giving makes Chinese New Year an opportune time for luxury brands to reach out to Chinese consumers, especially as the Chinese market accounts for almost half of global luxury consumption. However, designers in the fashion industry have been so aggressively pursuing the Chinese market by slapping year of the rooster designs on their products that their target consumer group, Chinese millennials, have responded with widespread criticism. 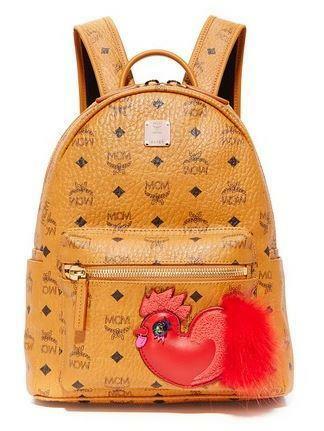 Commenting on this bag by MCM, one netizen suggested, “red, gold, and zodiac signs are symbols of Chinese New Year, but why do they believe we want to carry a bag with a zodiac animal [on it] all year round?” Seeing most of these designs as an off the mark design approach, Chinese millennials have spoken out about the need for more contemporary and relevant Chinese New Year designs. Last month, the Victoria's Secret Fashion Show became the subject of online criticism for its gaudy representation of classic Chinese imagery like traditional dragons and imperial garb. However, it does not seem as if luxury brands took notice of where Victoria's Secret went wrong, as their seasonal products have failed to live up to the challenge of creating something that is authentic and relevant to contemporary China. In summation, Chinese netizens argue, brands should stick to their original design aesthetics, and leave the traditional Chinese New Year iconography where it belongs – on the windows and doors of those who celebrate it. 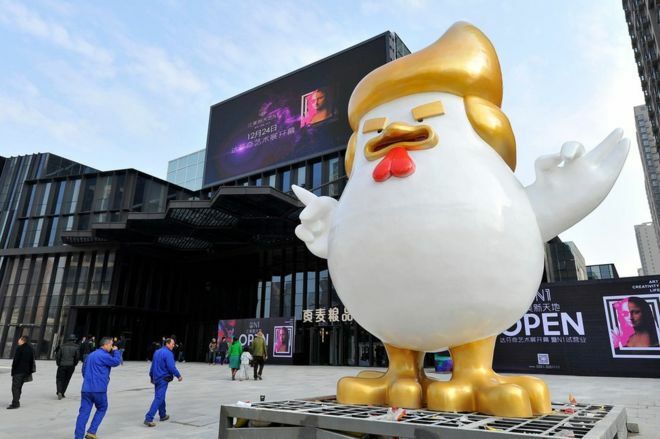 Perhaps clothing designers can learn from the popularity of this giant rooster statue resembling Trump, located in Taiyuan, Shanxi Province.